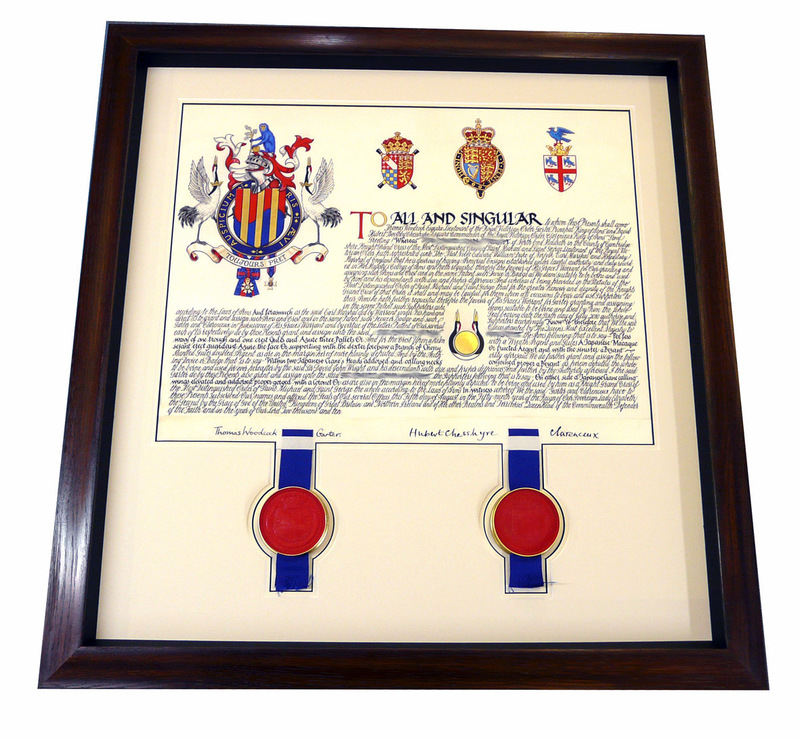 We were lucky enough to be asked to frame a very special document recently – an Order of the Garter. 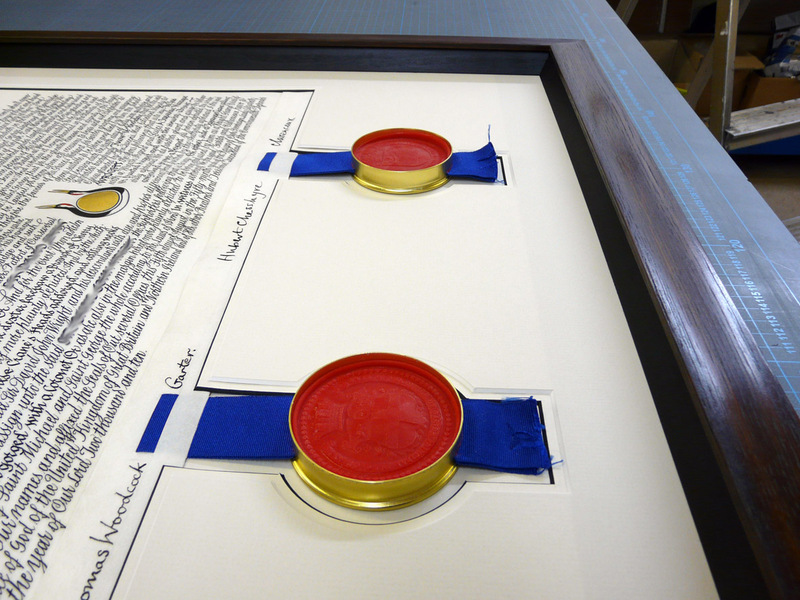 The traditional certificate was decorated with beautiful calligraphy and finished with two large, deep wax seals. 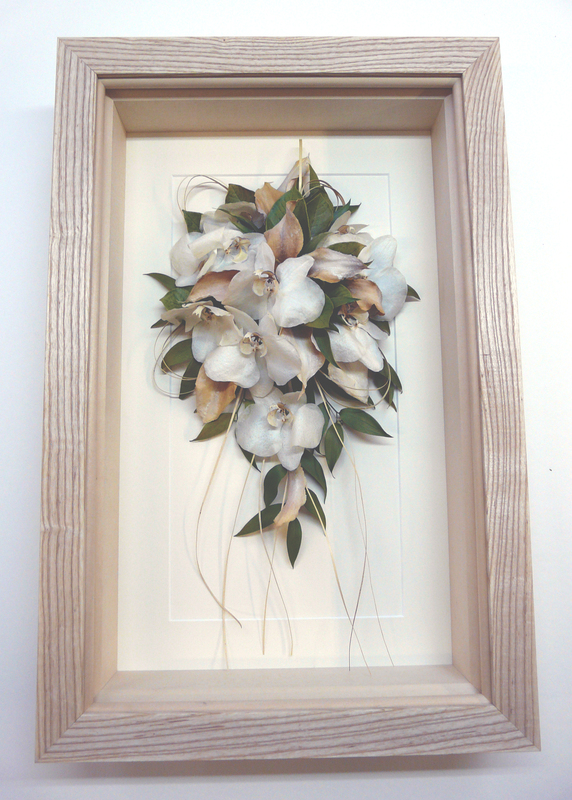 We decided to frame it using one of our had finished, wood mouldings as it is such a traditional piece. The wood, a solid oak, was stained using a rich deep brown and finished with natural bees wax to protect the colour and finish. As you can see, the black core mount was specially cut to fit around the seals. The seals were extremely deep, set in brass holders, so we had to construct a box frame to accommodate them. We used a spacer to keep the glass far enough away and stained it to match the frame. As before we used our special low uv and anti reflection glass in order to both protect and display the order of the garter to the highest standard. Framing a Very Long Tapestry! 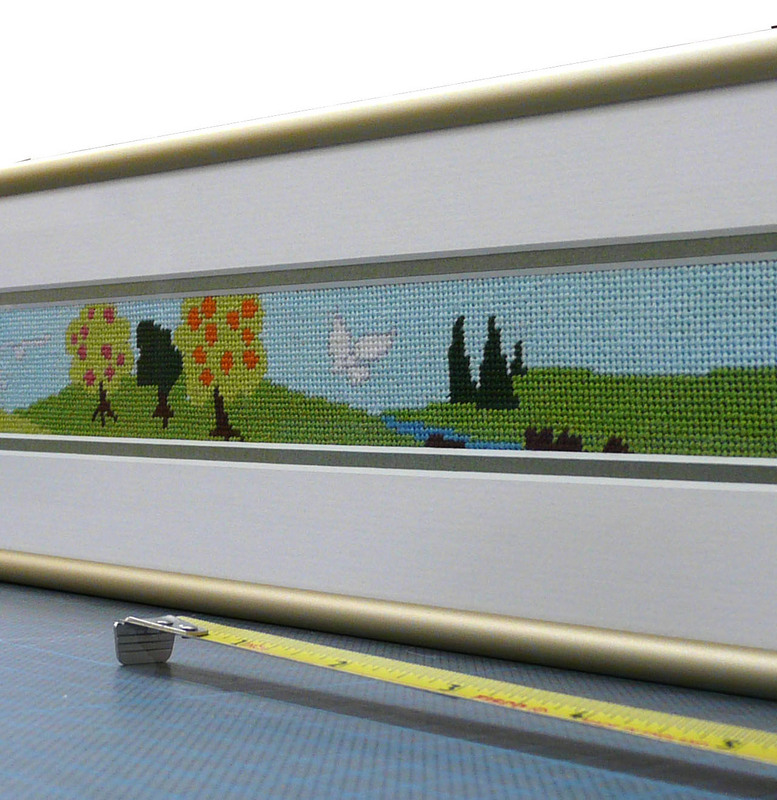 As specialists in framing needlework we see all sorts of designs, shapes and sizes. This recent job however, has to be the longest and thinnest we have ever encountered! 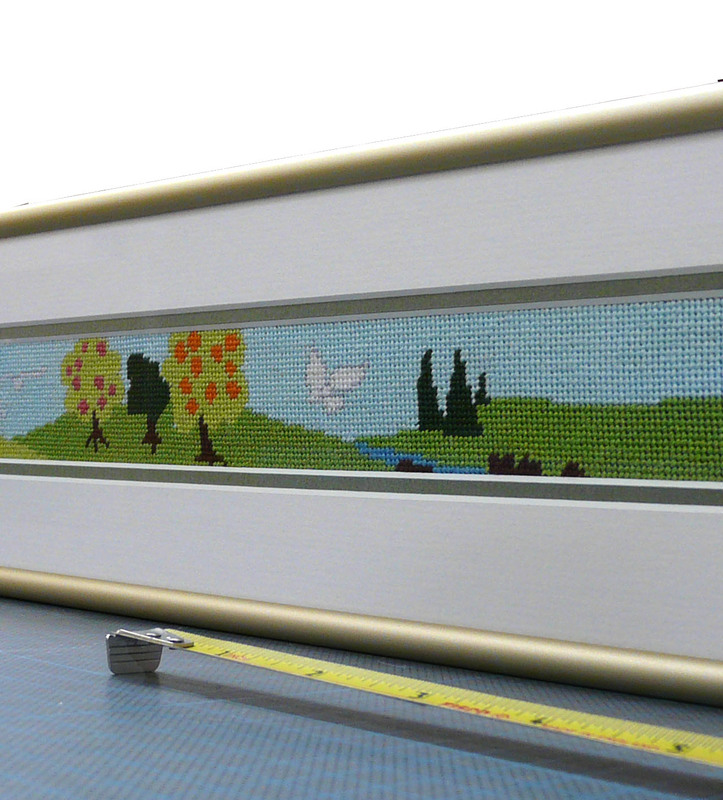 It was originally intended as a belt but the customer prefered to frame it for their wall. The long, thin shape lent itself to a narrow, simple frame, however, it had to be very strong to stop the long length bowing. Most thin wood frames wouldn’t be suitable so the answer was aluminium. The extra strength the metal provides makes it ideal for this type of job. It’s simplicity also suited the bright, graphic design of the tapestry perfectly. The needlework was stretched and laced onto a conservation board before being mounted. The double mount kept the tapestry away from the glass in order to protect it. To keep the detail as sharp as possible it was glazed with our special anti-reflection glass. Almost invisible, it also has uv filters so the colours of the threads will be saved from the effects of the sun. 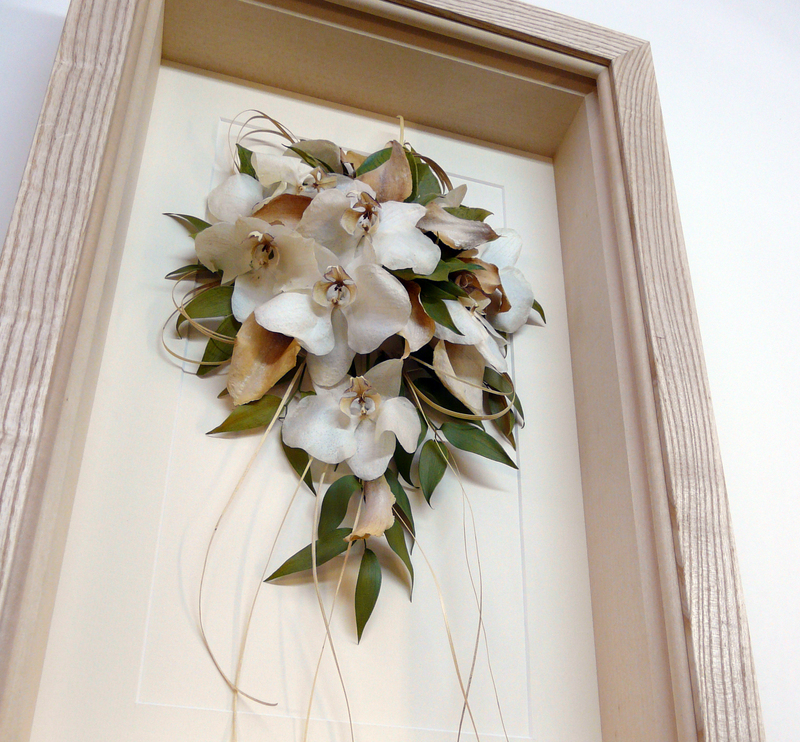 With the season of weddings upon us I thought I’d show you a beautiful bridal bouquet we framed this year. The flowers had been freeze dried but were extremely fragile, so, as well as creating a stunning wall piece, the frame protected the bouquet. We wanted to create a simple look to highlight the pale cream flowers so used a natural, solid ash frame. Natural wood never dates, creating a timeless display, in keeping with the bouquet. The frame had be deep enough to hold the flowers and we used a natural wood spacer to create the box frame. Our water white, uv filter glass added extra protection and clarity. Box framing is a wonderful way to preserve and display something special that would otherwise be hidden away. 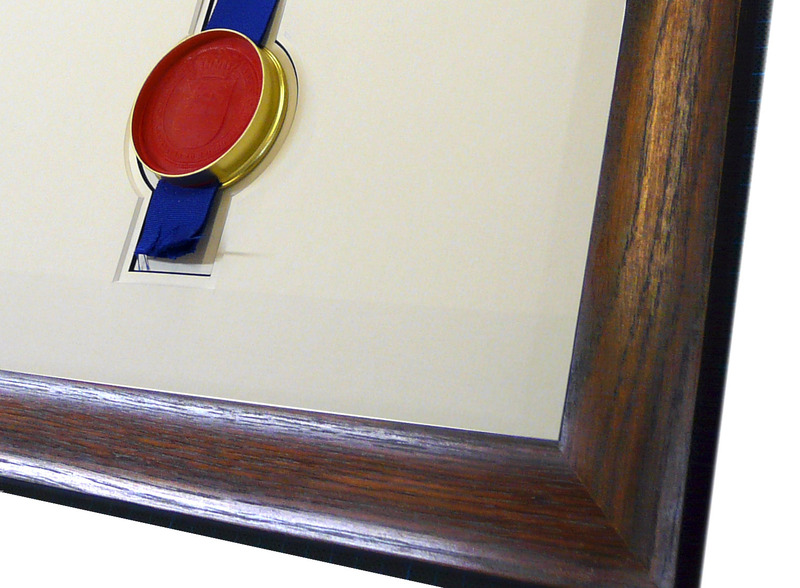 Flowers, sports shirts, medals and coins, even a child’s first shoes – we can usually find a frame to fit! We are proud to be sponsoring an exhibition of art to raise funds for Blue Smile, a new Cambridgeshire charity. The exhibition, at Anstey Hall, opens with a private view on Monday 20th June and is open to the public on Tuesday 21st June, from 10.30 am to 7 pm. There will be a fantastic range of work for sale by established artists including paintings, ceramics, jewellery and sculpture. Fiona Carver, one of the Simon Robinson framers, will be also be exhibiting her selection of lino prints. Blue Smile provides counselling and support in schools to help vulnerable and disadvantaged children fulfil their true potential and have happier childhoods. It can quite simply be life-changing. Come and enjoy a range of art and support a local charity!